RIT is recognized in several categories for educational quality and value in the 2015 edition of <em>U.S. News &amp; World Report Best Colleges</em>. Rochester Institute of Technology is recognized in several categories for educational quality and value in the 2015 edition of U.S. News & World Report Best Colleges. Since U.S. News began ranking colleges in 1983, RIT has consistently been listed among the top regional universities. RIT leaders anticipate moving to the national research category next year with the university’s growth in doctoral programs. For the 2015 ranking, RIT placed eighth in the “Best Regional Universities (North)” category in the latest report among hundreds of schools that offer a full range of undergraduate majors and master’s programs. RIT also received the second highest peer assessment score, which is a survey of presidents, provosts and deans from other universities judging a school’s academic excellence. In the “Great Schools, Great Prices” category, RIT ranked fifth among regional universities (North). The formula used to determine which schools offer the best value relates to a school’s academic quality to the net cost of attendance for a student who receives the average level of financial aid. “The higher the quality of program and the lower the cost, the better the deal,” according to U.S. News. In the “Focus on Student Success” category, RIT was listed as one of only 13 colleges nationally recognized for excellence in the “Internships” listing. RIT’s cooperative education program, which began in 1912, remains one of the largest in the nation and has been recognized every year since U.S. News began the category in 2002. RIT was also cited as an “A+ school for B students” recognizing that RIT has a long history of admitting well-qualified students who may not be at the very top of their class and providing a value-added education through its innovative, specialized academic programs and strong emphasis on experiential education. RIT’s Kate Gleason College of Engineering ranked No. 65 for undergraduate engineering programs among universities where the highest degree is a doctorate. RIT’s Saunders College of Business was ranked No. 93 nationally among best programs for undergraduate business education. RIT President Bill Destler said the rankings continue to validate RIT’s reputation as “a university where innovation, creativity and entrepreneurship flourish.” He also noted that RIT is on the verge of moving into the national research category as assigned by the Carnegie Foundation, used by U.S. News & World Report to classify universities. 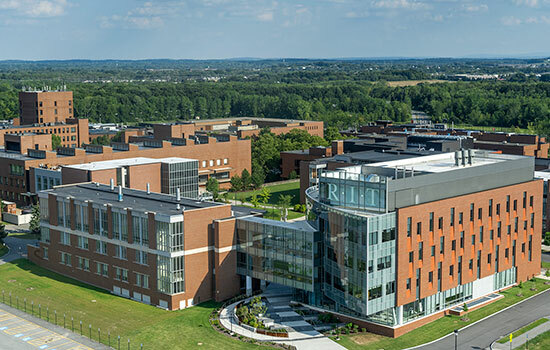 National research classification is based on the number of Ph.D. degrees awarded and RIT had a record 29 graduates earn their doctorates this past spring. A doctoral program in engineering began this fall, becoming RIT’s seventh Ph.D. program and joining astrophysics, color science, computing and information sciences, microsystems engineering, imaging science and sustainability.